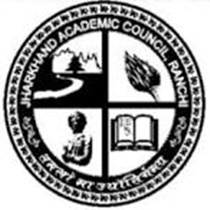 Jharkhand Board 10th Result 2019: Jharkhand Academic Council, Ranchi has successfully conducted the Annual Secondary Examinations were held in the month of March 2019. A huge number of candidates who are studying 10th standard in jharkhand appeared for the examination which was held at various examination centers. All the candidates who had written the Jac Class 10 exams, are eagerly waiting for know their result. Jharkhand Academic Council will be declared the jharkhand 10th Result 2019 (Matric) in the month of april. The Jharkhand 10th exam help on first march and now the candidates are eagerly waiting to get their result. Every year huge numbers of students appeared in this exam, and those are looking to get Jharkhand Board 10th Class Result 2019. The Jharkhand Academic council has conducted exam in different exam centers, this exam held on 932 centers across the state. The candidates who have appeared in this exam they also wanted to check their 10th board exam 2019 result. It is the most important exam, and the score is also important to deciding the career. The board also provides complete details about the result like you can get your marks subject wise, at the same time you can easily understand your percentage. The toppers list also updates for your reference. Jac Class 10 result 2019 Date ? Jharkhand Academic Council always declares the result at official web portal, so all the candidates instructed to keep touch with the official web portal. Even the candidates easily check and download their JAC 10th exam result by visiting official web portal. Jharkhand 10th Board Results 2019 are most expected one, most of them eagerly awaited to get the results. Jharkhand Academic Council Result X Class 2019 available early for your verification, so every candidate have chances to download their result after the official announcement. The Jharkhand Academic Council updated latest information about the result. In order to get the result students are advised to keep necessary information, especially student need to enter their date of birth, roll number, email id, and mobile number to get the result. The Jac Class 10 Results always released under safety condition. Last year, the Jac Class 10 result 2018 was announced on April 27th and this year as well, the board is likely to follow a similar time frame for the announcement of the results. Students, who want to check their results first, can visit http://manabadi.com/Jharkhand/. Visit Manabadi.com for all updates and results for Jharkhand 10th Result 2019 Will be Available Soon. Candidates easily check their JAC Matric Results, by following simple instructions provided in the official web portal. 1. At first candidate need to visit at http://jharresults.nic.in. 2. It is the direct link provided by the authorities to check result. 3.Then candidate need to fill necessary details like name, roll number, mobile Number, email id and date of birth. 4. After entering these details you candidate instructed to hit the submit button then the result will be displayed, based on your needs you may download and take the print out copy of the result. Candidates also easily check their JAC 10th Result 2019 through mobile; it is the most effective choices to get result without leaving your home. Sometimes the authorities make changes in the result date, if they make any changes they will update all the details about the changes in their official web portal. All the candidates are instructed to check the official website frequently to get the latest information about the result. It is the ideal choices for the candidates who are eagerly waiting for the announcement of Jharkhand 10th Board Results 2019. You can easily get regular news and latest updates about the exam through SMS and emails. In order to get updates about the JAC 10th Result 2019 you need to register your mobile number and email id in the official website. The Jharkhand Academic Council is going to declare the JAC matric Result 2016 as soon as possible in the April Month.